Here is a list of the career coaching classes and workshops I’ve offered for groups and organizations. I can customize classes for your group, and if you don’t see something here that you wish you could participate in…let me know! I’ve created classes that have been sparked by clients’ ideas and requests! Calm Communication: How to stay calm and centered when under stress. Increase your effectiveness with co-workers and others. Build your assertiveness muscles and speak up even when you think you can’t. For introverts only, or with others. 4-6 weekly meetings. How To Live with Clarity, Passion, Taking Wise Action. For those seeking more clarity about their direction. Includes mindful awareness meditation. Exercises discussion, strategies to explore and learn more about professional direction, with accountability. 4-6 weekly meetings. 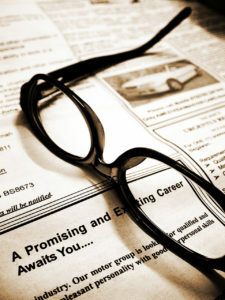 JumpStart Job Search Workshop: How to do a successful job search from start to finish. We cover exploring your strengths and personality to understand career direction and suitable jobs; resume and cover letter writing, LinkedIn profile and networking etiquette. We discuss effective and customized networking strategies for every kind of individual. Vision and values are an essential part of this class. 3-6 weekly meetings. Mindfulness for Health and Wellbeing/Mindfulness for Emerging Leaders/Mindful Leadership: Develop your focus and ability to be present – the most important ability to stay centered during the most chaotic of days. Essential for leaders during this time of accelerated change, mindfulness practice is valuable for leaders – including parents – in order to develop the most precious of skills to offer ones’ full attention. Learn how to let go of distractions that create anxiety, depression and sleepless nights. Delivered in 1-6 weekly sessions. Ignite Your Creativity for Inner and Outer Innovation: This well received, interactive workshop provides an opportunity for participants to shift perspective to see options through connection with the non-verbal language of art and design. Mindfulness meditation instruction and practice is integrated into this workshop. Valuable connections are made to see how the exercises we use can be incorporated into daily life to see and solve challenges in work and at home. Each class is a dynamic, interactive combination of lecture, practice, and group feedback and discussion. MAPs is taught in a context of a supportive community environment with classes no larger than 20 students. Daisy Swan will be leading this class series; she has years of personal experience practicing mindfulness, and teaching it. MAPs classes meet weekly for two (2) hours per week for six (6) weeks. Participants will complete daily home practice meditation assignments starting at five minutes a day and working up to 20 minutes daily by the end of the course. Participants will also receive a complimentary Home Practice CD and a copy of the book “Fully Present: The Science, Art, and Practice of Mindfulness” by Susan Smalley, PhD. and Diana Winston. For more information, please email Angie@DaisySwan.com. Are you a writer, or wanna-be writer, looking for a beautiful, nurturing place to write this summer? 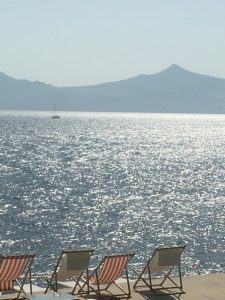 Let yourself unwind, relax and rejuvenate to tap into your genuine voice and writing pace by the aquamarine beauty of the Aegean Sea. 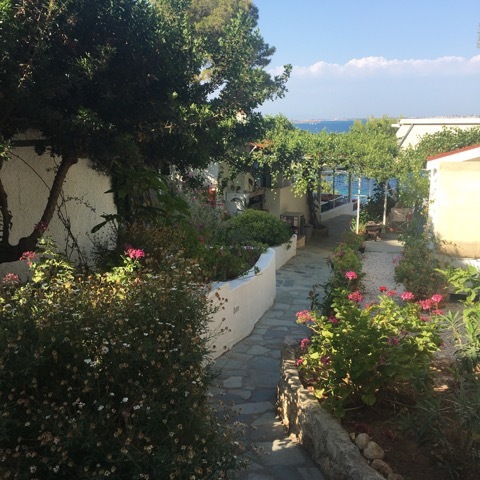 Eat the healthiest of Mediterranean cuisine everyday, and enjoy the attention of our hosts at the charming family-run hotel, Rosie’s Little Village, we’ve come to know and love. 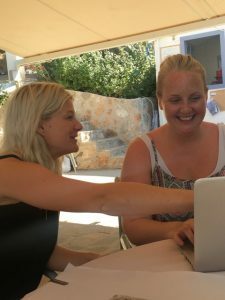 Join me and the talented writer and lovely human being Charlotte Thompson for our 2 nd year of this writers retreat on the beautifully natural Island of Agistri in Greece, June 25 th – July 1 st 2017. Agistri, a small island, is easy to get to from Athens Airport; other islands can be explored before or after if you choose to make a longer trip of it. Whether you’re looking for writing instruction with others, or choose to write independently, you’ll have the opportunity to write, enjoy a swim, and meals with other writers. 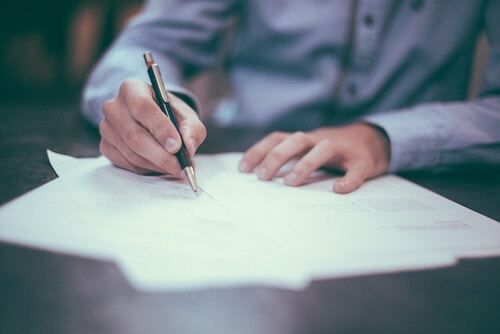 Charlotte’s guidance and teaching brings out the best in everyone and their projects – from short pieces to novels or screenplays, Charlotte’s deep experience can help you to shape your project to completion. I’ll be leading (optional) mindfulness meditations each morning overlooking the beautiful Aegean Sea. We’ll also be discovering how each of us can optimize our day-to- day perspective and creativity during sessions I’ll be leading called Cultivating Your Creative Life. To deepen our discussions, you will receive your personal Myers Briggs Type Indicator (MBTI) assessment report (done online prior to arriving) that adds another layer of self-reflection and understanding of personal and professional strengths. I am available during this week for one-on-one life and career coaching sessions, as well. Curious? Ready for a little life changing get-away? 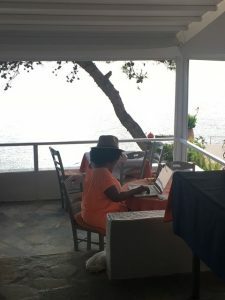 For details and to book your spot go to www.writersretreat.org asap to get in on the early bird rate!